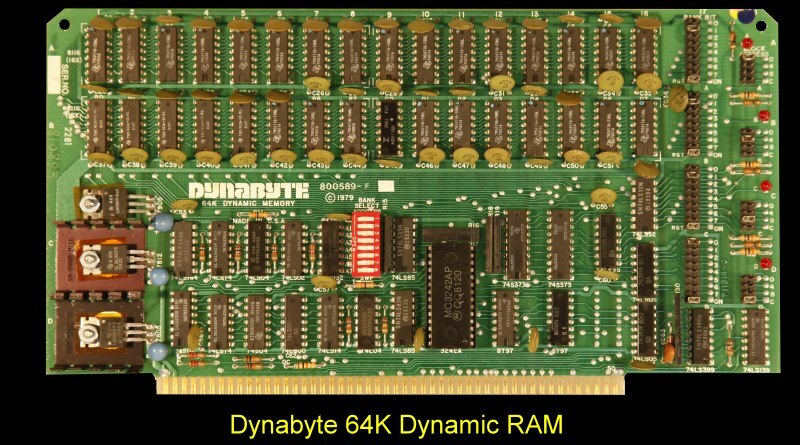 This was a popular Dynabyte RAM board. This was a rather late to the market 64K DRAM board. It could be configured for 32K, 48K or 64K. It had bank select under software control and thus was available for banked CPM3. The manual for this board can be obtained here.